The Denning gang has just pulled off the biggest robbery of their careers. But Josh Denning, the leader of the bunch, faces a deadly challenge from within the ranks of his own followers, and his brother Ike has a bullet in him that may cost him his life. On top of that, two tough, dogged lawmen are on the gang's trail, determined to bring the outlaws to justice. It's a perilous race to safety for these fast-gun owlhoots! BROTHERS BY THE GUN is another exciting tale of Samaria, Kansas from talented author David Hardy. 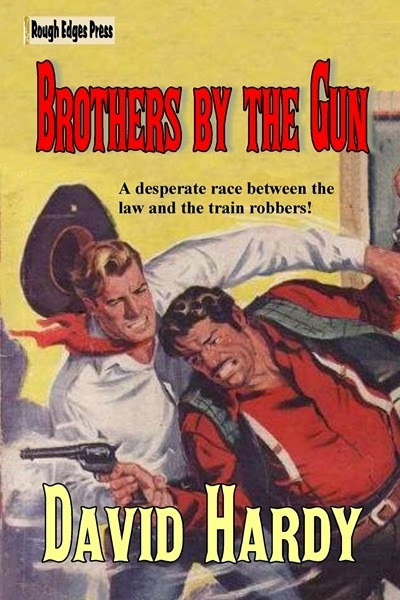 Fast-paced and full of gritty action, this is a story that fans of traditional Westerns won't want to miss!